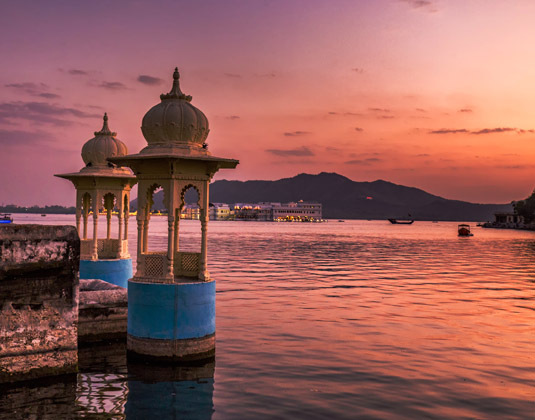 Day 2 Udaipur: Today you will have time to relax and enjoy the enchanting setting of the Taj Lake Palace as well as see Udaipur’s main attractions during a guided sightseeing tour. Highlights include the imposing City Palace, which towers over the lake and features balconies, domes and arches along with a marvellous assortment of courtyards, pavilions, rooms and hanging gardens. You’ll also see the Crystal Gallery museums, Saheliyon Ki Bari gardens which hug the shoreline of Lake Fateh Sagar and in the evening enjoy a shared boat cruise on Lake Pichola.